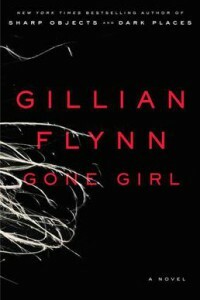 As soon as I saw that my favorite director, David Fincher, was making a movie from the book, “Gone Girl” from Gillian Flynn, I knew I had to read it. Fincher doesn’t choose bad books to turn into screenplays. He has a reputation for taking the darkest most compelling Best Sellers and turning them into cult classic movies. The ominous tone is set early as Nick comes home to a wide open door, broken glass, and a missing wife, the titular Gone Girl. Flynn seamlessly employs a chronologically disjointed narrative alternating between the diary of the missing Amy leading up to her disappearance, and the thoughts of the suspiciously calm Nick. As her journal entries approach the present day, we can’t help but try to piece together the mystery through the tantalizing clues left in her diary, and wonder how the couple’s love turned from bliss to bitterness. We wonder if we can trust the husband, whom we’ve come to know through his first person narration. We’re in his head. It couldn’t be him we tell ourselves, but all the signs point to him, and there are disturbing gaps in his memories and an endless string of lies he tells the police, and who keeps calling him? What about the ever raging Mississippi River? Surely it has a role to play in this mystery, running endlessly through the story, constantly reminding the reader of its presence, and of the post-industrial malaise that hangs over the rust belt, and sets the tone for this dark psychological thriller.